Vijay Sethupathi can be now definitely regarded as not only a perfect performer, but his brilliancy over choosing the best scripts. Yes, when few people after watching first day first show of Kadhalum Kadanthu Pogum uttered that it would be a flop. But to their disappointment, the opening week collection was far better than Naanum Rowdy Dhaan and Sethupathi. Now the film is running house packed in both multiplex and single screens. With the producers sparkling with more happiness and celebrations, here comes yet sensational news. Yes, Jaya TV has acquired the Satellite rights of this film for a fancy price, which are the highest ever sold TV rights for a Vijay Sethupathi film. 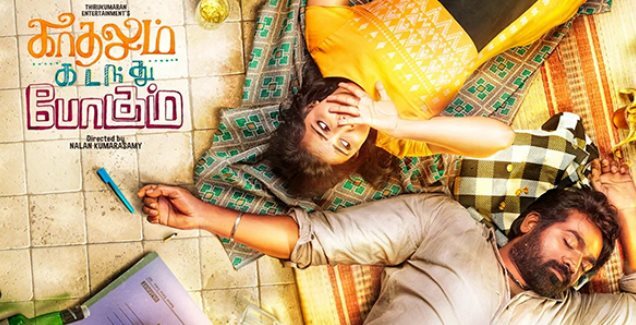 Kadhalum Kadanthu Pogum, directed by Nalan Kumarasamy is a remake of Korean movie ‘My Dear Desperado’ with Madonna Sebastian of Premam fame playing the female lead role.